I regularly hear that virtual worlds — and OpenSim and Second Life in particular — are too hard to use, or that the bandwidth and computer processing power isn’t there yet, or that the graphics aren’t good enough. But, as I pointed out before, all these things were true of the early Web, as well, and the masses took to it like flies to honey. So what made the Web a success? I listed a few features of the Web — such as the ability to express themselves and to connect with people in ways they couldn’t do before. These also apply to virtual worlds, and will help fuel growth. Before we had Windows, we had DOS and its command-line interface. The green screen, the cursor, the plastic overlays you put over your keyboard to remind you of the keystroke shortcuts — remember those? The command-line interface is, in effect, a one-dimensional, linear interface. You enter data one character at a time, and it’s processed one character at a time. Remember how hard it was to move or copy a paragraph in a word processor? Then Microsoft stole — I mean, was inspired by — the Mac interface, and suddenly we were all using mice and happy to do it, too. After all, we didn’t have a choice. Every new business computer was shipping with Windows. Pretty soon, people discovered that they preferred it, and were insisting that they liked it all along. It’s a quirk of how our brains work. We remember the things that happen, but not how we felt about them — instead, we project our current feelings into the past. So I’m not asking you to recall how you felt when you first saw a mouse — I’m asking you to remember what your co-workers and colleagues thought. They hated it, didn’t they? It was slow, and the little ball kept getting clogged with lint, and you had to re-learn how to use all your applications. Some people are still grumbling about it. So how does this translate to virtual environments? It doesn’t — yet. We don’t have a 3D Windows. Apple is probably working on a 3D operating system– they’ve already applied for the patents. We’ll have 3D navigation on Macs, iPads, and iPhones. And then everyone else — Microsoft, Google — will rip it off and it will become ubiquitous. When it first comes out, people will complain that it makes computers look and feel like video games. They’ll feel silly using them. College students will sniff and say they’re too old for that kind of thing, that they prefer a real business interface. But then the truth will come out — people like it. It doesn’t matter that it’s slower, or that you have to find everything all over again. It’s engaging, immersive, interesting, and taps into the part of your brain that handles spacial navigation. And by the time all the major platforms have 3D operating systems, we’ll all be wondering how we did without them. We’ll probably have a new input device, too. The mouse isn’t designed for 3D navigation. Maybe it will track tiny body movements — like the Segway does — so that you feel as if you’re controlling it with your mind. Or track your eye movements, or your hands, or combine all of the above with a touch screen. Once we see it and use it, it will seem obvious in retrospect. The Web benefited a great deal from the wide adoption of the 2D, graphical user interface. But it benefited even more from AOL’s marketing onslaught. Everybody and his brother and his brother’s dog got an AOL disk in the mail. Or in their shopping bag. Or pre-installed on their new computer. AOL was everywhere, and so was its marketing. 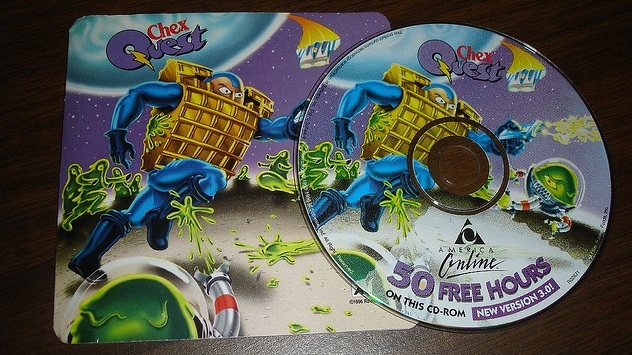 It convinced people that they needed to go online. That they needed to get their news, stock prices, sports scores and dating matches immediately. That people had an unmet need to troll online forums. And to send emails and instant messages. Before AOL, the only people who went online were the geeks who used those dial-up bulletin board systems where they did secret geek things like hack into government servers. Or play text-based multi-user dungeon adventure games where they pretended to be D&D characters. In other worlds, going online back then meant just about the same thing as going into an online virtual world does now. AOL changed that. It made going online acceptable to the masses — and, of course, hopelessly uncool. But oh, well, that’s the price you pay for popular appeal. Linden Lab had the potential to play the role of AOL for virtual worlds. However, the company dropped the marketing ball, allowing the media to decide what Second Life was all about. And the media is a strange beast. It seeks out the new, but also fears it. And when it’s not new anymore, the media forgets about it. So we had a rush of stories about people losing their spouses to Second Life infidelity — then nothing. Many people even think that Second Life has died off, which is what happens when you let the news industry set your marketing agenda. Imagine the effect on adoption if Second Life came pre-installed on new computers and tablets. If installation disks were sent out to everyone. If ads blanketed the airwaves and the magazine pages — and cereal boxes. Sure, there will be scaling issues. 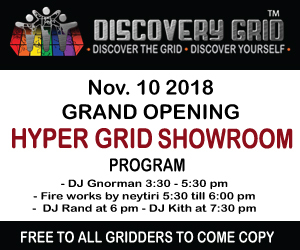 A couple of solutions: divide into multiple grids, connect them via hypergrid teleports. 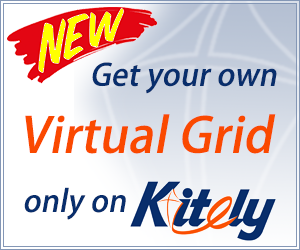 Or use Kitely-style Amazon cloud hosting of on-demand regions for low-use, low-cost homesteads — and connect them to the main grid via hypergrid. 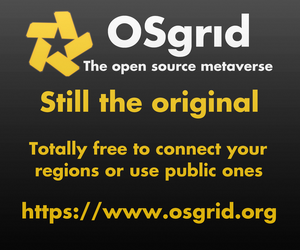 You don’t need to allow hypergrid access to all the other grids out there in the metaverse if you don’t want to (though I’m sure, in time, that will happen) — Linden Lab can just allow access to its own grids. It’s possible. It’s doable. Will Linden Lab do it? Will someone else step in and do this? But there was a third factor that made the Web grow. Microsoft Windows made the whole idea of a graphical interface palatable. AOL showed people that it was okay to go online. But Netscape actually made it possible. Before Netscape, we had difficult-to-use browsers, like Lynx and Gopher, used mostly by engineering students at universities. Netscape brought an easy-to-use, point-and-click navigation mechanism to a population that was already comfortable with the idea of using a mouse, and going online to find information and connect with others. But Netscape was no clone of AOL. It didn’t have built-in email or instant messaging or shopping or news or forums — it didn’t have any of the content that AOL had. All it offered was a way to navigate the content created by others. And it was enough. Other people stepped to do the email — like Hotmail, and, later on, Gmail. Other companies jumped in to create websites to provide search functionality, shopping, news, and discussion forums. It was Netscape’s leanness that allowed the Web economy to blossom. These days, we don’t think twice of hitting multiple sites to find the best deal, simultaneously engaging with communities on Twitter, Facebook and LinkedIn, or switching search engines if a better one comes along. So long, Lycos, hello Google! Today, our reliance on Second Life-compatible viewers almost forces startup grids to try to duplicate all of Second Life’s services. 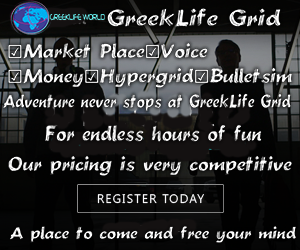 Each grid needs its own inventory storage, its own groups, its own search, its own forums, its own instant messages, its own everything. A leaner, meaner viewer would allow grid owners to just focus on the aspects of the virtual experience that they can do best, where they have something unique to add. I don’t know when we’ll get this viewer. Or even if it will be based on OpenSim, though I hope that it will at least be backwards compatible because I spent a lot of time designing our company regions. But then again, companies also invested a great deal in proprietary, dial-up remote access systems for their employees back in the day, and then in AOL keywords and custom pages, and then again in those old-style, brochure-ware HTML sites. So, if we have to move on, we’ll move on. It would be nice to know exactly when that will happen, so we can plan ahead. But innovation, unfortunately, doesn’t move at a predictable schedule.